All across the nation, on frozen ponds, in community rinks and in state-of-the-art arenas, Canadians are playing our favourite national pastime: HOCKEY. The game is perpetually tied to our sense of what it means to be Canadian and is perhaps our most identifiable icon. For some Canadians, it’s what defines them. They say it’s what binds this country together. 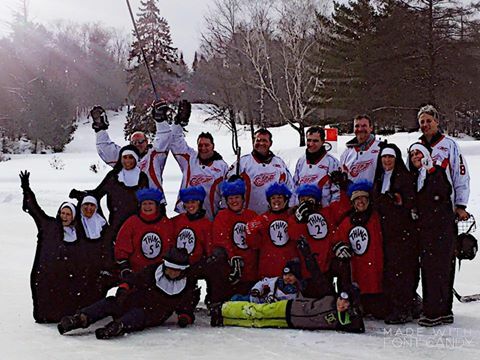 We believe there is no better way to celebrate the sport than to play it on the pond! Some of the team feedback from 2018! The ice was the best it ever was..thanks to the Baffin Ice Crew for making it happen! Loved the Ice Bar and the outdoor fire pits were a great addition. …awesome job and looking forward to 2019. We’ll be back! Continue building an amazing program in Haliburton! Girls (and boys) just wanna have fun. No worries about standings, goals against etc. NO playoffs. Sponsored by IT World Canada, includes a tech vs tech and FUN Corporate co-ed division. Haliburton, ON. 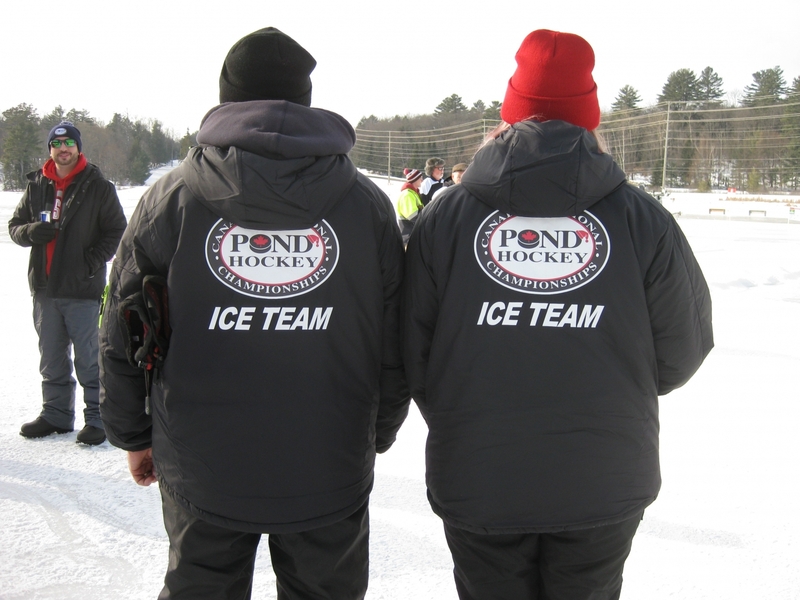 Two Weekends, 10+ divisions of epic Pond! IT World Canada Co-ed Division: Competitive but with a bit more emphasis on fun 19+. Min 3 women on the roster. Teams from 18 US states and over a dozen countries (including Botswana and Japan) have played with us. The CNPHC is followed on social media by people in over 40 different countries. 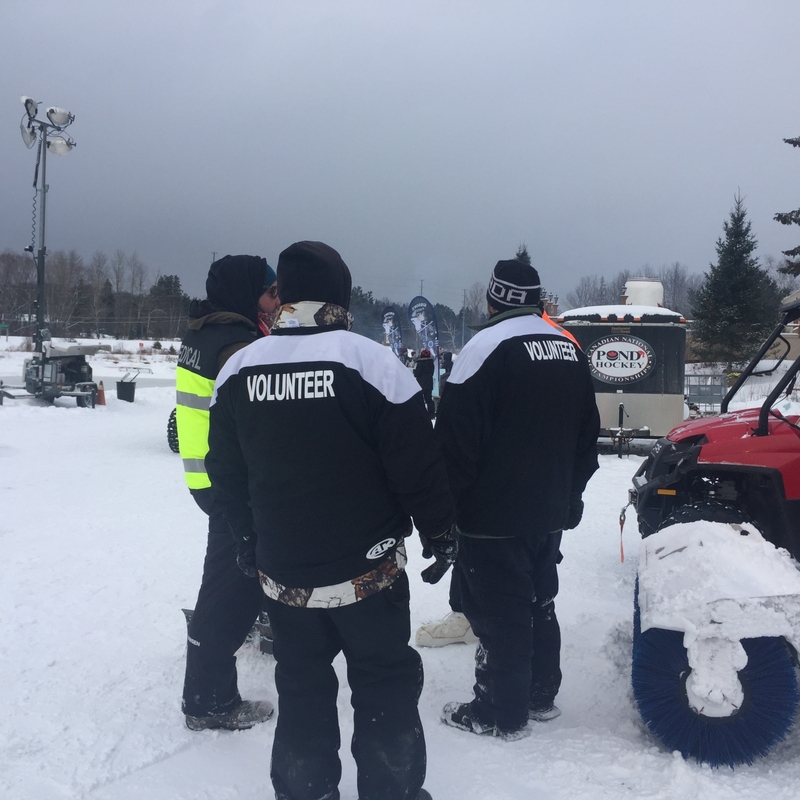 Over 100 volunteers help host the event making it one of the largest volunteer groups in the region. 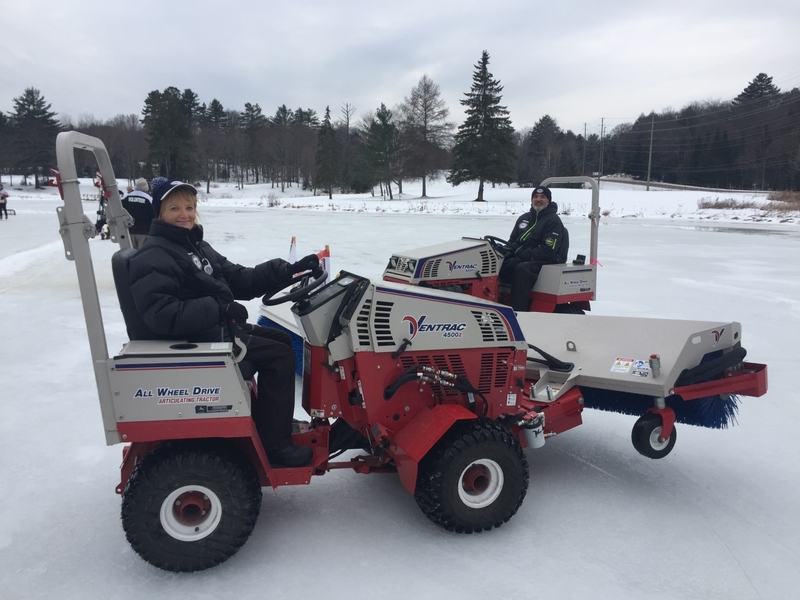 Ice crews spend over three weeks (on average) creating 15 – 18 rinks on 420,000 sq ft of ice. 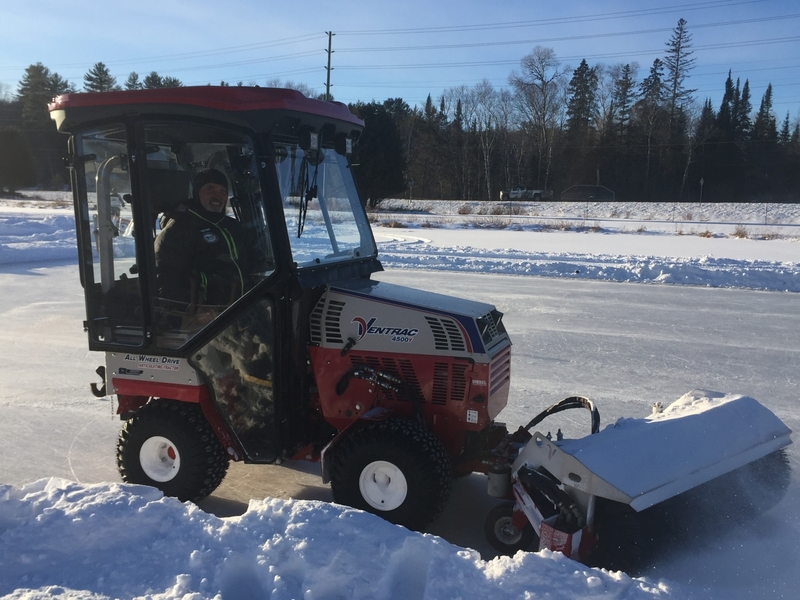 On average, Ice crews will move approximately over 5 million cu ft of snow weighing around 75 million pounds or 38,000 tons. 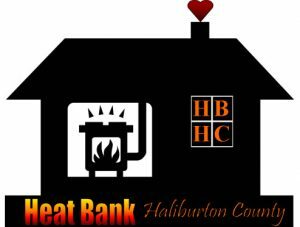 Funds raised through our onlineauction and clothing sales will be donated to Heat Bank Haliburton County and Central Food Network – two organizations that assist hundreds of people (35% of cases involve children) each year that are food or heat insecure. The CNPHC bought two trailers that are being loaned to Heat Bank and Central Food Network to move food and wood when we are not using them. 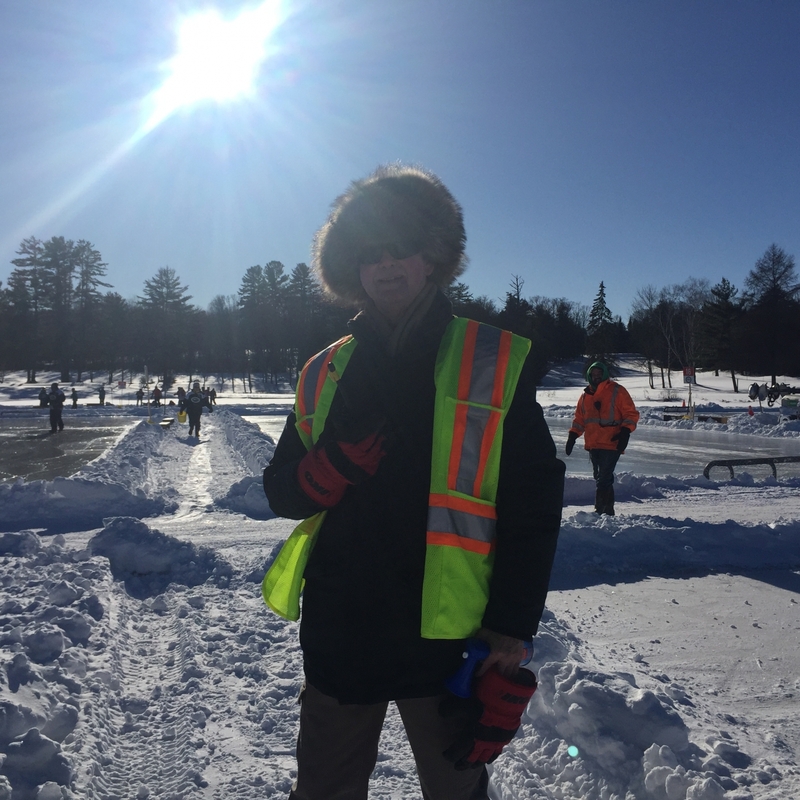 The 14 acre pond in front of the resort is shallow (between 4-9ft deep) meaning it freezes quicker and deeper than most larger bodies of water in cottage country. 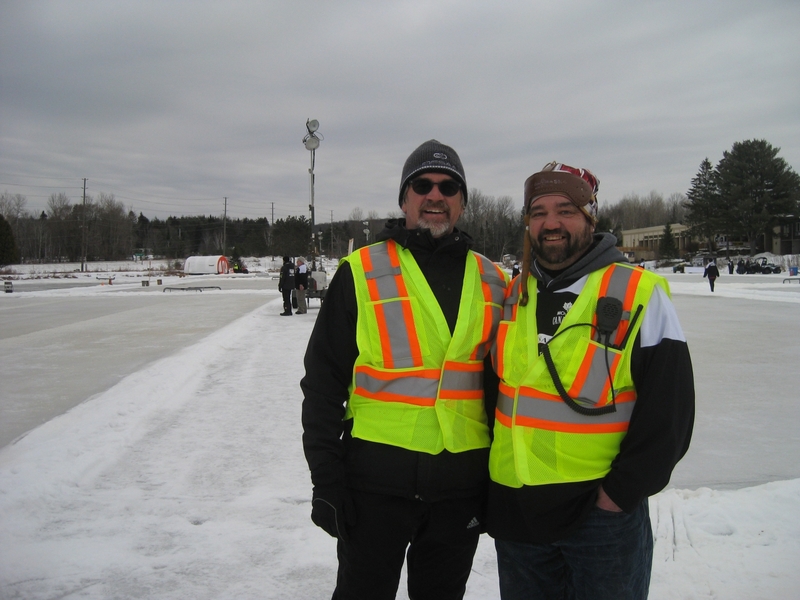 If there is an ice surface capable of hosting a hard water event like ours (rather than cancelling), it’s here! 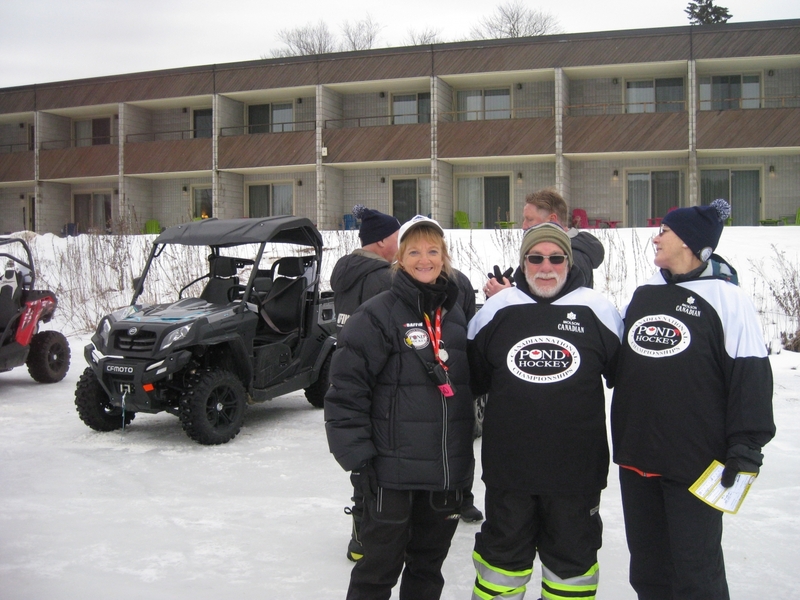 The resort and its facilities are very close to the ice surface allowing teams to access the facility without walking a lot. Our event takes over the whole resort! 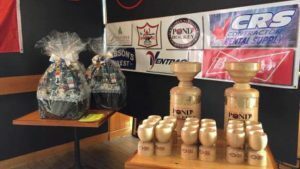 The individual wooden trophies we hand out to winning teams are hand made here Haliburton using wood available in our region. Each one takes over two hours to make. 4252 County Road 21, Haliburton, ON. 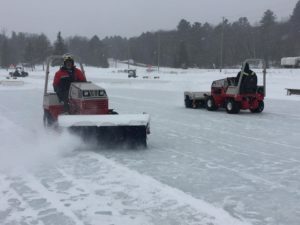 Players from across the nation and beyond will make the journey this year for a chance to stake claim to pond hockey superiority and hoist the coveted Maple Cup. The CNPHC represents the purest form of the game, taking competitors, volunteers and spectators alike back to the roots of hockey all set amidst the breathtaking northern landscape at our host venue Pinestone Resort. 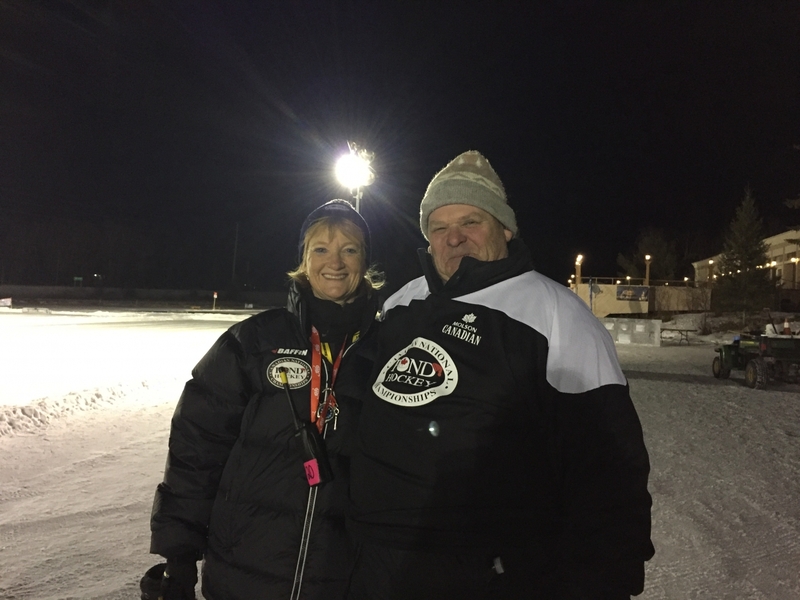 Along with Pinestone and our other sponsors, CNPHC delivers a top-shelf experience both on and off ice. A one-stop-shop for all participants as we transform the resort into Hockey Central for two epic weekends. 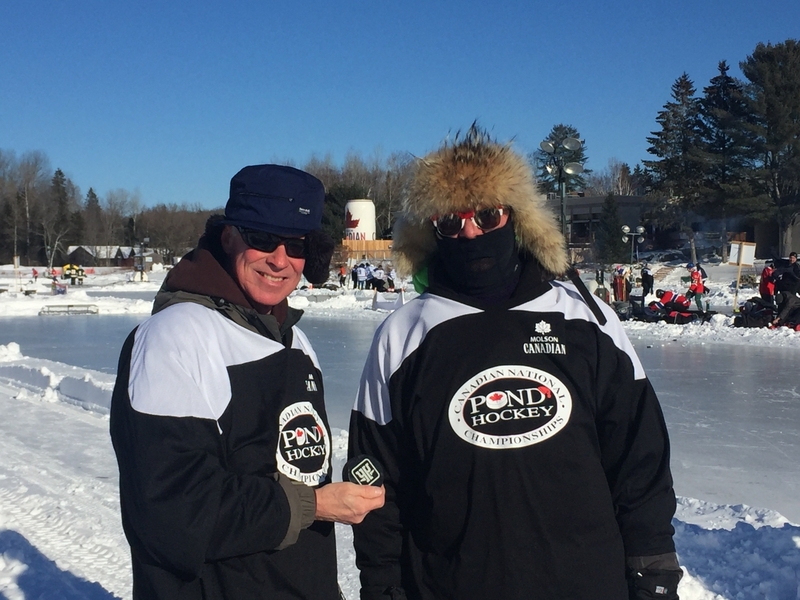 From the frozen pond to heating it up on the dance floor and everything in between – a weekend at “Pond” creates friendships and memories that last a lifetime…and keep participants coming back each and every year.